Filled with vintage-looking art and delightful puns, this personalized book shows kids they’re special. Not Your Typical "I Love You"
There's no lion, your kiddo fills you with pride. Tell them they're deer to you with this personalized children's book. Filled with vintage-inspired illustrations and a whole zoo of characters, each page contains your child's name and a delightful animal pun. 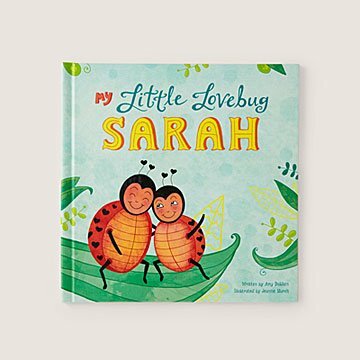 From smiling bees ('cus your little's sweet as honey) to the feathered friends who say "owl always love you," it's an adorable way make your love bug feel special. Made in Minnesota.